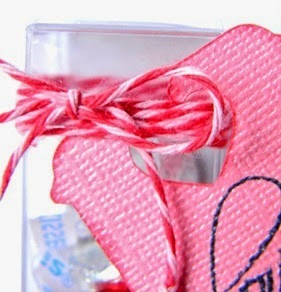 I used the fabulous Valentine Cherry Cupcake Trendy Twine and the fun Biggie Candy Chutes. Make sure to check out Annie's Paper Boutique to see get the fun things you need for Valentine's day! Love the sneak and love the project itself even more!!!! Have a GREAT day! Great sneak peek! That twine is so pretty! Super cute project! The way you added the heart string cover is so fun! Love the adorable tags too! WOW, great sneak! The twine looks gorgeous!!! These are fantastic, Helen. You did a great job on the hearts. Such a fun treat. Looking forward to 2015 and working with you.